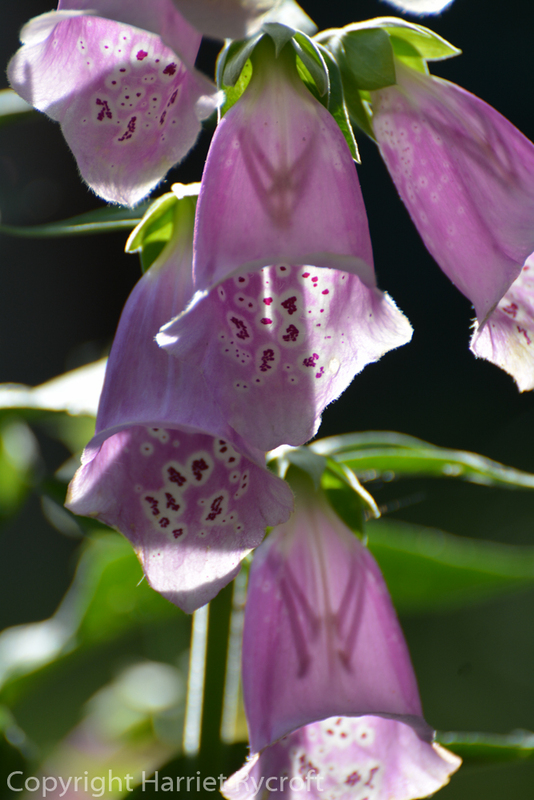 The foxglove has been one of my favourite flowers since the time when I was small enough to look up into its lower bells. 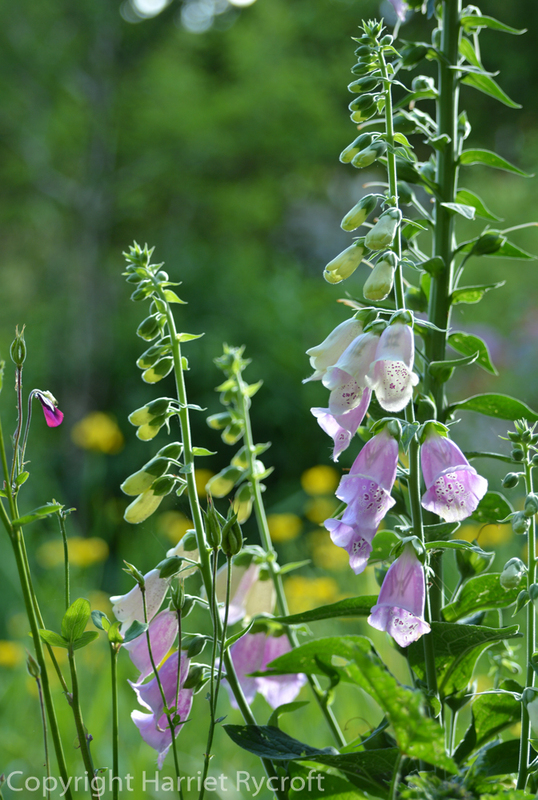 It launched pink and white rockets into the glades which lit our woodland walks and rides, and was one of those plants you could play with, picking the flowers to put on the ends of your fingers or clapping your hands together on an unopened bud to make a satisfying POP. It was all the more exciting for being poisonous. 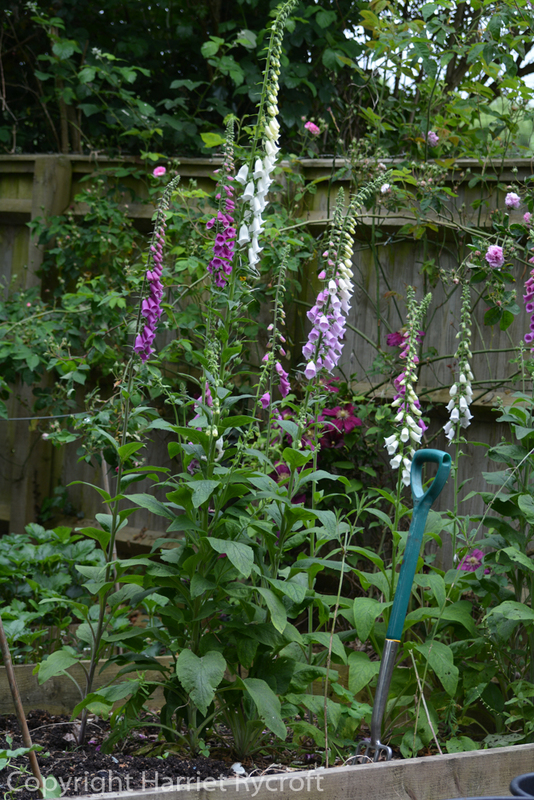 I don’t have any fancy named varieties of Digitalis purpurea in my garden, but I shake the seeds around every year, aiming at the backs of my borders and areas which could do with a little early summer height. Of course the seedlings always insist on growing either right at the front of the border, or in the vegetable patch. There’s a lovely clump there this year and I can’t bear to pull them out just yet so once again my plans for veg growing have pretty much gone to pot. They are very good cut flowers, so I often bring them into the house. I love their spots, their variety of size and colour and the way they glow when back lit. 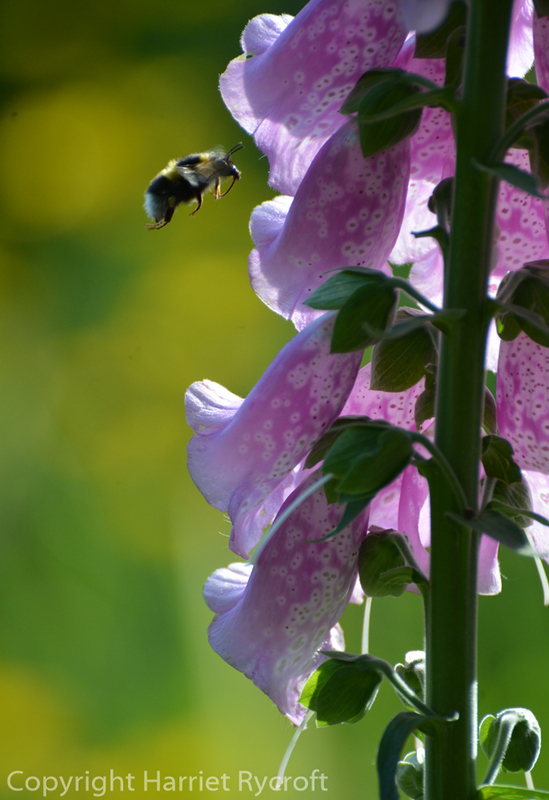 The best thing about Digitalis purpurea, however, is the sound they make when happy bumblebees are rummaging about in their bells. Anthers at the ready – you can see their shadows. 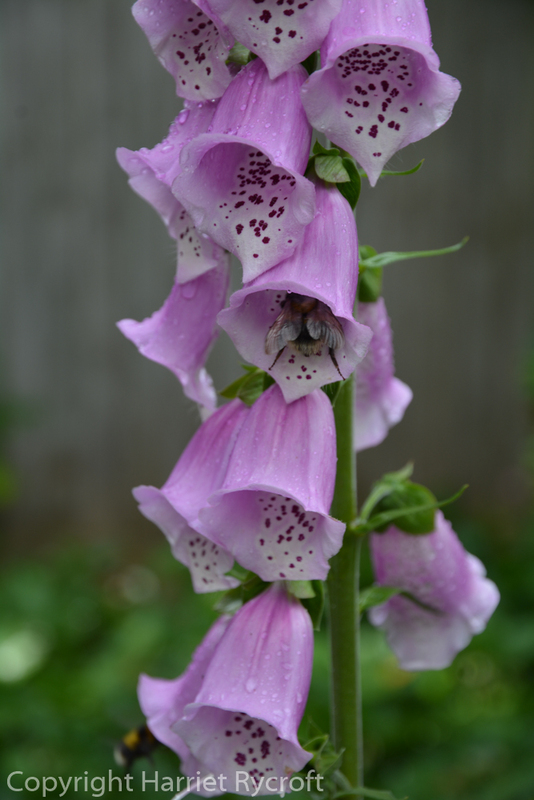 Bees’ favourite come rain or shine, just follow the trail of spots. This buff-tailed bumblebee looks like she’s got her ears pricked and her tongue hanging out! So far I have been having some great success by moving young plants to where you want them before they get established. I’m talking plantlets with only 2 leaves and no bigger than about 2 or 3 inches. Wonderful photos, particularly that last one. It’s a plant I love too. Thanks – it’s one of those flowers that’s hardwired into our brains, I think.